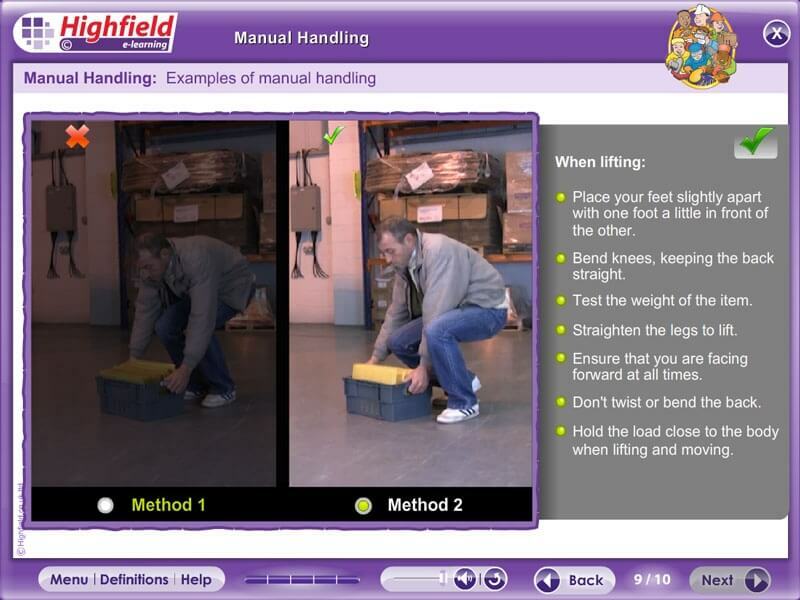 This innovative, multi-device e-learning course is ideal for anyone looking to learn about manual handling or refresh their knowledge in a fun and interactive way. 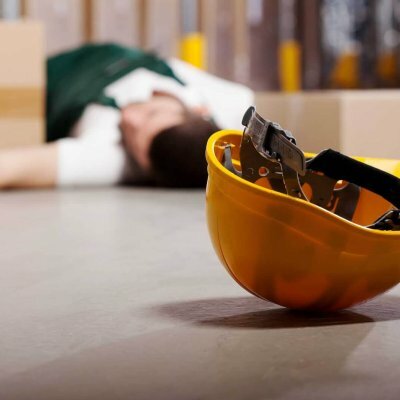 Our courses are a perfect way for you to get acquainted with the responsibilities that you must fulfil in order to meet Health & Safety regulations. 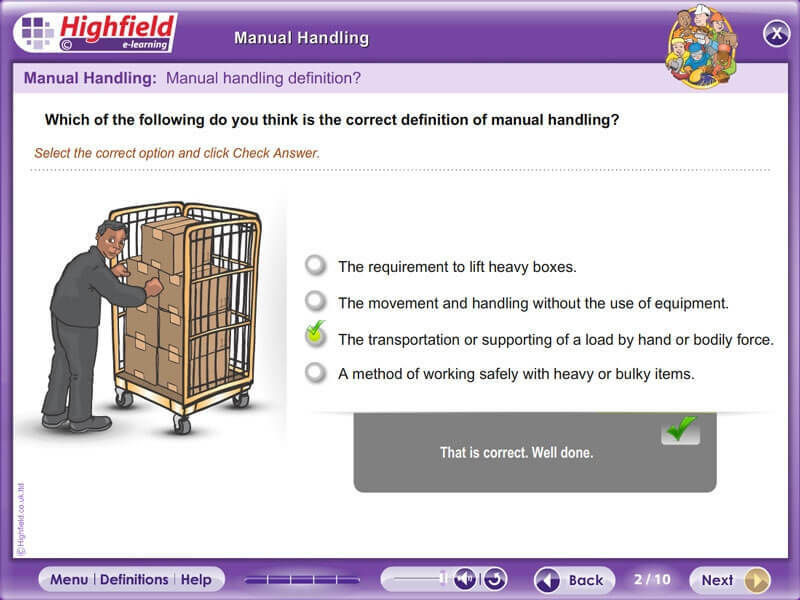 All of our courses meet the strict standards set by current legislation, and are fully accredited through our partnership with our awarding body, Highfield Awarding Body for Compliance (HABC). 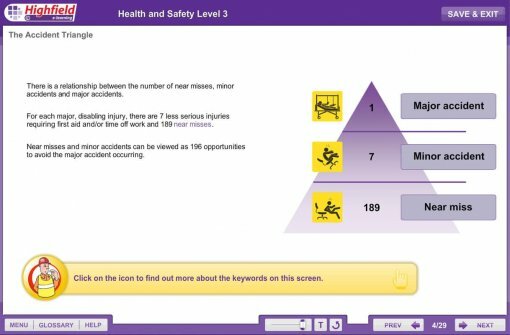 Heavy manual labour, awkward postures, manual materials handling, and previous or existing injury are all risk factors in developing MSDs. 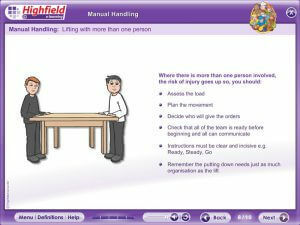 The training course lasts about 4-6 hours and is conducted by a qualified instructor. Each module is concluded with a test involving a series of multiple-choice questions that is meant to evaluate the progress of the learners. This lets us maintain a hands-on approach on the learning capacity of our learners, letting us keep up the good quality of our course. Of course, upon completion of the training course, learners receive a personalised HABC commended certificate to officially confirm their familiarisation with the subject matter. GlobeUs Training offer a range of Health and Safety qualifications that can be used whether you are an individual, a growing business or a large employer. 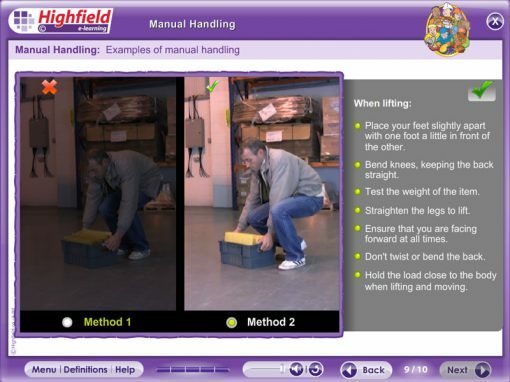 We understand the need to meet the strict compliance regulations in place and our e-learning courses are the perfect way to ensure you fully understand those responsibilities. Not only can we offer a variety of on-line qualifications but we can also provide face to face delivery of our courses or if you prefer bespoke training specifically tailored to suit your business needs. To support you meeting these requirements all our courses meet strict standards to conform to current legislation through our partnership with Highfield Awarding Body for Compliance (HABC).